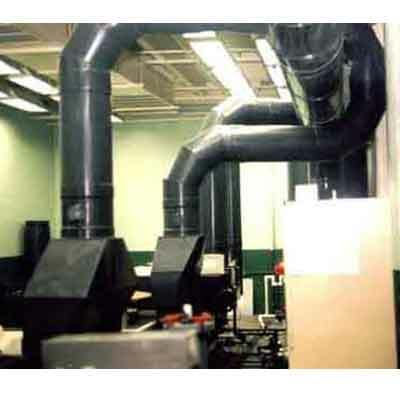 ROUND AND RECTANGULAR DUCTWORK Harrison Machine & Plastic offers a complete line of round ducting from 2" to 60" and custom rectangular or square ductwork from 6" x 8" up to 30" x 96". Rectangular and round duct fitting components available. 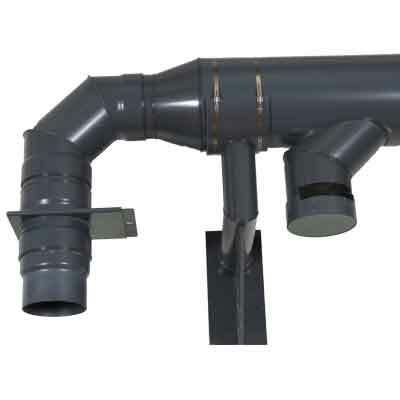 Ductwork from PVC, CPVC, PP, and PVDF materials for your round or rectangular ductwork system. PVC & CPVC PIPE Corzan® CPVC and our HARRISON SUPERDUCT® PVC pipe is extruded thru 24" and fabricated thru 60". 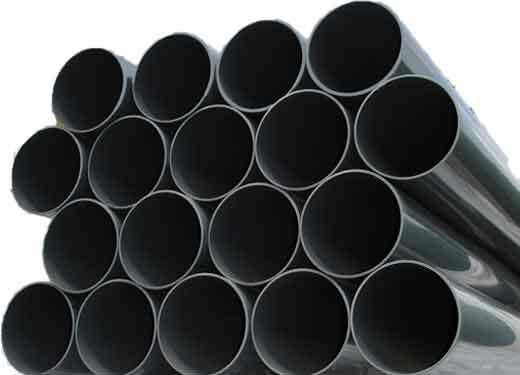 Extruded seamless pipe is available in 10' or 20' lengths or 4' fabricated lengths. 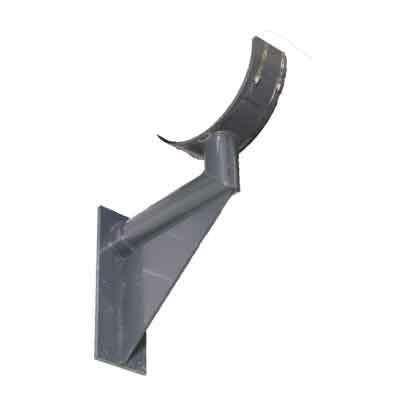 DUCTWORK SUPPORT Support your PVDF, PP, CPVC and PVC ductwork system and duct piping with Harrison's innovative support brackets. 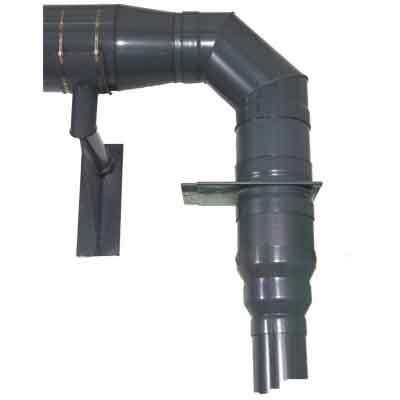 PVC & CPVC DUCT FITTINGS Harrison offers a complete range of fabricated duct fittings for your fume exhaust handling system. 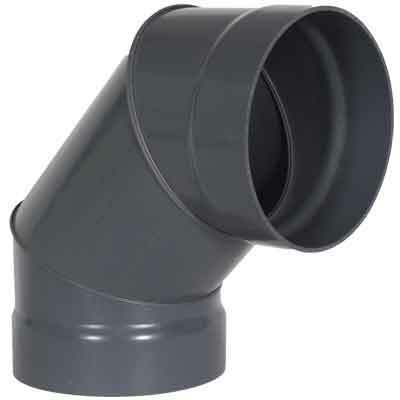 PVC & CPVC ductwork fittings are available as socket/belled, flanged (drilled/undrilled), or plain end. Harrison can manufacture just about any square to round transition combination. 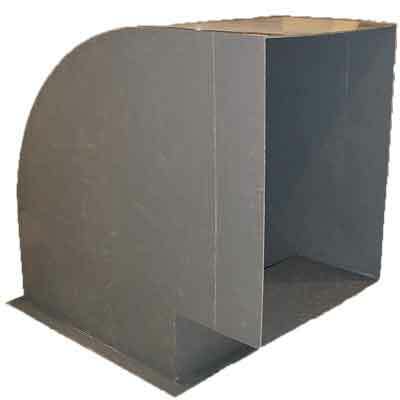 WE SAVE YOU MONEY Harrison can pre-build your ductwork system into larger sections, reducing field installation costs. Socket, Flanged, or plain end sections available.